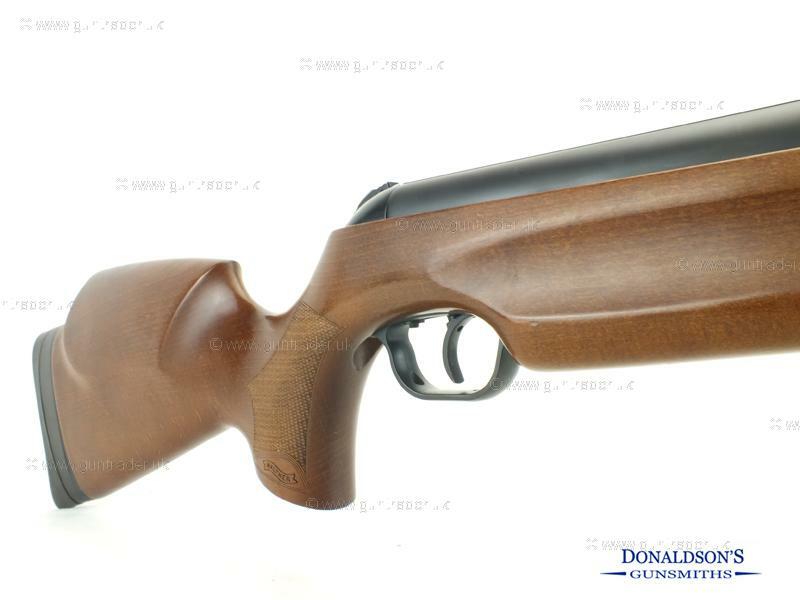 Walther .22 LGV Break Barrel - Spring Second Hand Air Rifle for sale. Buy for £299. Finished with a matt black Cerakote on the metal work and shooting at a very consistent 573 fps with Air Arms pellets. To enquire about this gun please quote number 297.